Red, white and blue T-shirts and flags were scattered across the front lawn of Soldiers and Sailors to commemorate the lives of fallen American soldiers with a community event that balanced both moments of celebration and solemn reflection. McKay said not only was this his first time attending the Memorial Day ceremonies, it was also the first time he had ever been to Soldiers and Sailors. “Whenever we were bringing our daughter through Oakland, we’d see Soldiers and Sailors, but we’d never been in it before. I’m glad we went today to see it and got to see how many other veterans came out to remember our fallen brothers and sisters,” McKay said. McKay was struck by the support Pittsburghers had for veterans in their community and nationwide. A local Americana band called Brassroots took to the center of the celebration to perform for the growing audience. The band transitioned between “America the Beautiful,” the “Armed Forces Salute” and other patriotic songs, and the crowd sat silently while the band played. As the salute ended, a lone trumpet player concluded the music with a rendition of “Taps” in memory of the fallen soldiers. As he finished, the crowd erupted into cheer. The chance to experience the community’s gratitude is one of the biggest achievements for the museum. 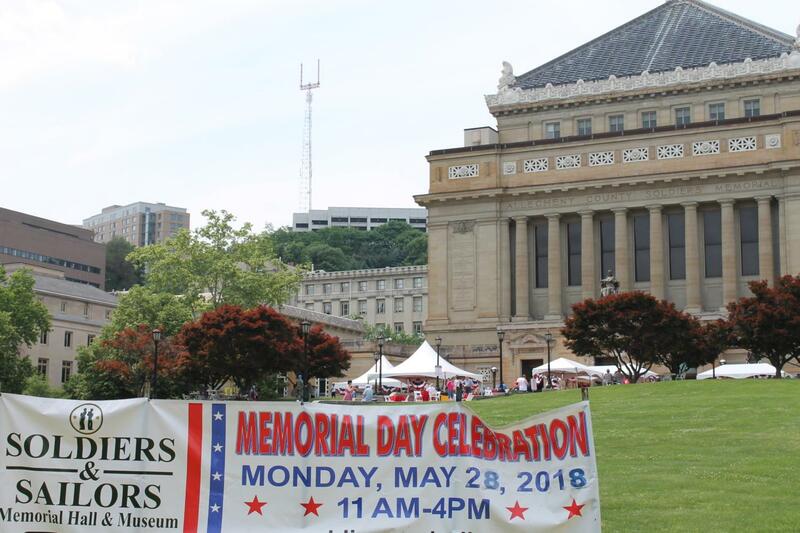 John McCabe has worked with the community to push events like the Memorial Day celebration into the public eye since he was appointed as president of the Soldiers and Sailors Memorial in 2008. McCabe also works as an attorney, and has 20 years of military experience. He takes great pride in being able to give back to the Pittsburgh community through the museum and events such as the celebration. Soldiers and Sailors attracted visitors from across the state for the Memorial Day festivities. During his trip exploring the area, Dan Jung, 25, made a point of coming by the celebration to experience the festivities and see the museum. Jung said that the atmosphere at the celebration really captured the gratitude for the soldiers, and the music and the attitude of the people at the celebration made it feel special to be there during the holiday.